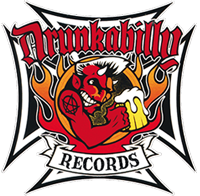 Drunkabilly Records & Mailorder - MEGATONS, THE : Meltdown ! 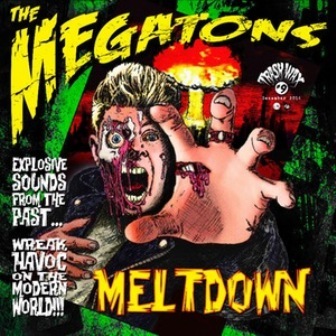 MEGATONS, THE : Meltdown ! Long before Boz Boorer became Morrisey's right hand man, he'd already enjoyed fame as the guitarist of The Polecats. But in late 1982 he'd joined forces with Rockin' Lloyd Tripp (The Vibes, The Bugs, The Sting Rays, Blubbery Hellbellys, Zipguns), Bob Martin (The Vibes, Margin Of Sanity) and Gary 'Gaz Voola' Boniface (The Vibes, Purple Things, Terminal Cheesecake) to record this (now legendary) session. This is not tepid, neo-rockabilly or any of that revival type nonsense. It's the real deal, primal and primitive rockabilly that sounds like it was recorded on a speed binge, sometime in the mid-'50s. Truly awesome! what you get is 19 tracks of Primo, Frantic, Rockin' Slop....Trashy as Hell !.....Welcome to the MELTDOWN ! Psychotic Rockabilly at it's best. 04. How Can You Be Mean To Me !